Welcome to April and National Poetry Month! How are you celebrating poetry this month? Quite a few people have promised to write a poem each day, read a poem each day, learn more about different poets, or even share some of their poetry this month. I’m not sure I’ll jump on the “each day” wagon, but I’ll definitely join in the fun! I don’t know about you, but I love poetry, especially micropoetry. It used to be the only form of writing I tried. Okay, I admit… I also used to write silly little stories when I was a teenager while sitting at the park. But I never wanted anyone to read those. They were ridiculous. Not too long ago, I learned about the online writing community and started searching for other writers. Twitter became part of my world, which introduced me to numerous talented writers and teachers! Did you know there are chats, too? On the first Monday of each month, a group of teacher-writers join together on Twitter for one of those chats. #TeachWrite is a wonderful group of teachers who write, and the Teach Write organization itself has a plethora of resources for teachers. Anyway, our chat topic this month was poetry (of course). We talked about how we use poetry in our lives and how we incorporate poetry into our classroom. Even though we are teachers, not everything we shared was about the classroom. Paula Bourque: “My 2nd piece of advice for anyone who struggles with poetry is find MENTORS, MENTORS, MENTORS. Write ‘in the style of,’ lift a line, stand on the shoulders of others and walk in their shoes. I even shared my advice to add to all these great ideas! look at what we’re doing here! Either way, you have a poem! Celebrate! It’s your turn to take on National Poetry Month. How will you celebrate? Do you have your own poetry writing tips? Share with me in the comments below! I really enjoyed this post! 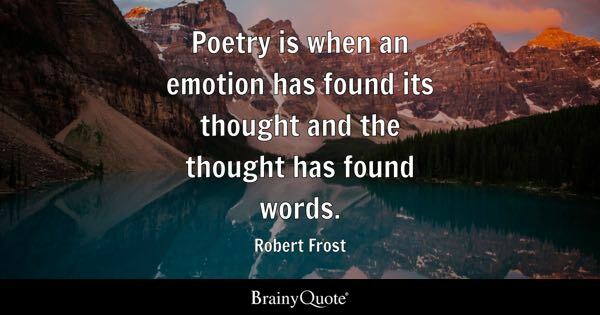 I’ve been encouraged by a writing teacher to read and write poetry because the poetic way of looking at and expressing things can enrich other ways of writing. Of course, poetry in and of itself is a worthy pursuit! But it has that added benefit. Thank you, Kelsey! Poetry definitely enriches our writing by giving us a chance to play with words and techniques. You should try again and see what happens! This is such an inspiring blog post, Jess. Just jump in and PLAY!! Thanks for all of the encouragement and shout outs! Thank you! I was actually working on a different post when this one insisted on being heard. Thank you for your tips! Of course you can! Thank you!